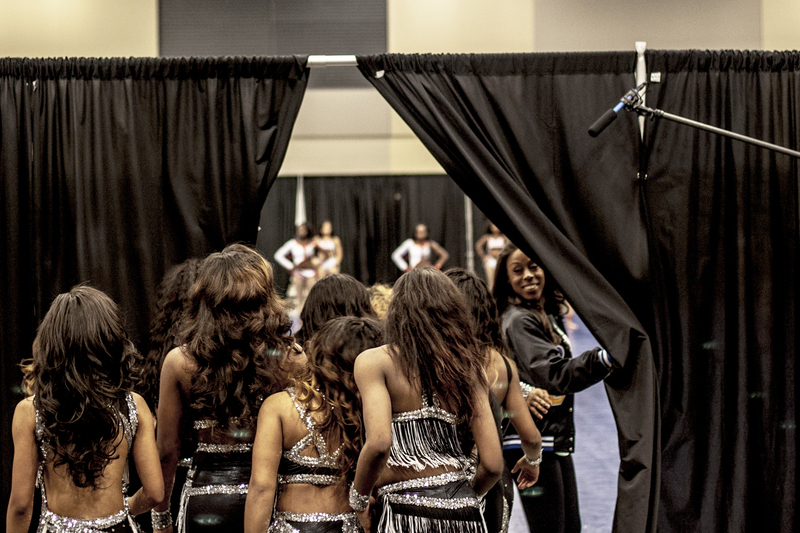 One thing that intrigued me about being able to get a photographer in the practice room and in performances with the Dancing Dolls was being able to see behind the scenes of this reality show. How do the girls and the staff interact and how out of place must this all seem in the scheme of a dance competition? Outside of the normal entourage that follows a team into a dance competition, just partner that with an entire film crew for a television show. 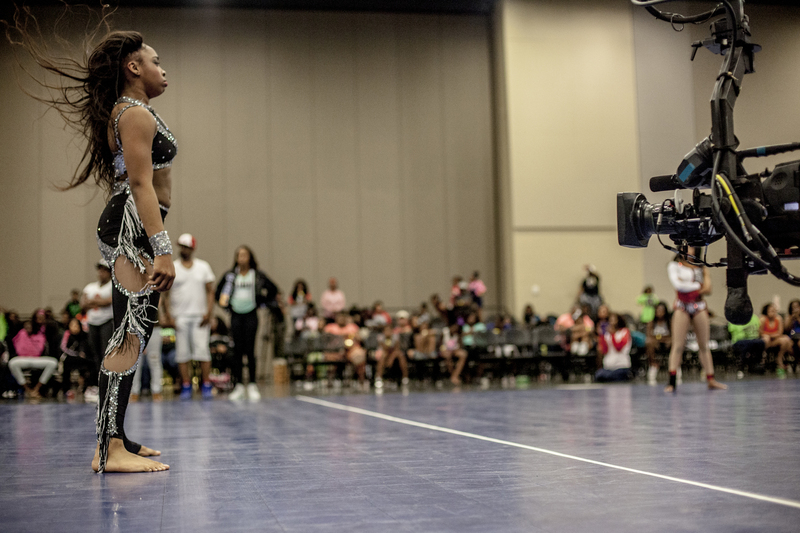 Photojournalist Andrea Morales was able to capture these moments that show the what it looks like behind the cameras and those instances when the two worlds collide.